The good folks over at The Garage Street Journal love the chance to invite local legends into the garage studio. With the annual Avalanche Awareness Night coming up, we welcomed Than Acuff – who is not just a pretty face, but also a proud member of the board for The Crested Butte Avalanche Center – with open arms full of his ‘demands’, which were a bowl of green M&Ms, beef taquitos, Redbulls, and a Hooters Girl. Sitting with Than, we got to know the gentleman a little better and also the history of The Crested Butte Avalanche Center and his involvement with the organization. If anyone was on the fence about attending Avalanche Awareness Night, sit back, listen, and get filled with stoke because, as always, this event is going to be incredible. Welcome Ben Pritchett as the new ED and Lead Forecaster for CBAC! We are excited to announce our new executive director and lead forecaster: Ben Pritchett. 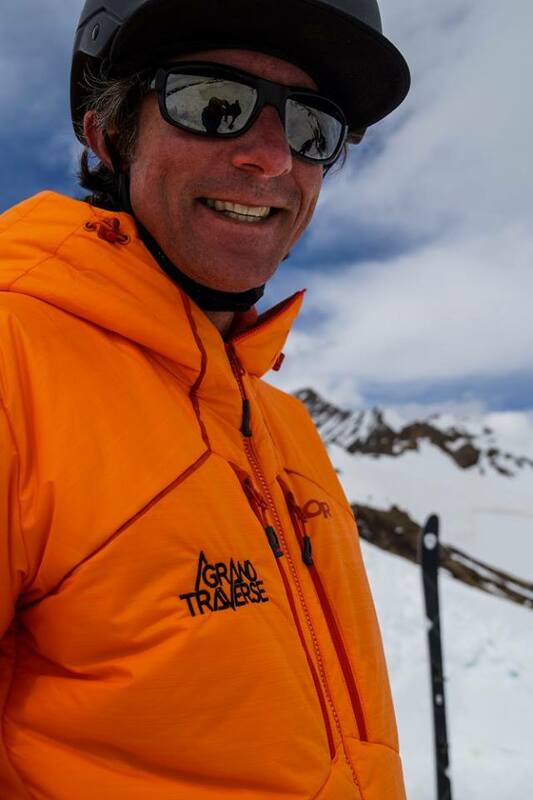 Ben brings a broad skill-set and diverse experience in the avalanche industry to the CBAC. In the past 12 years, Ben has served as the program coordinator for AIARE and avalanche education coordinator for the CAIC, gaining valuable experience working with backcountry users, educators, and forecasters around the country. Ben is a former forecaster for the CBAC and leads the forecasting program for the Grand Traverse. He also owns and runs a backcountry guiding business here in Crested Butte. Ben’s industry connections and local understanding of our terrain, weather, and snowpack will contribute to the quality of our forecast products. Ben will be replacing Zach Guy who is stepping down from the role and will be starting as the director of the Flathead Avalanche Center in Montana this spring. Ben Pritchett at the 2017 Grand Traverse. Join us March 19th for the 43rd annual Dan K Memorial Al Johnson Uphill Downhill Telemark Race! Time to let loose and free those heels! February 10, 2017. 7-10 p.m. In its 4th year of outrageous fun. 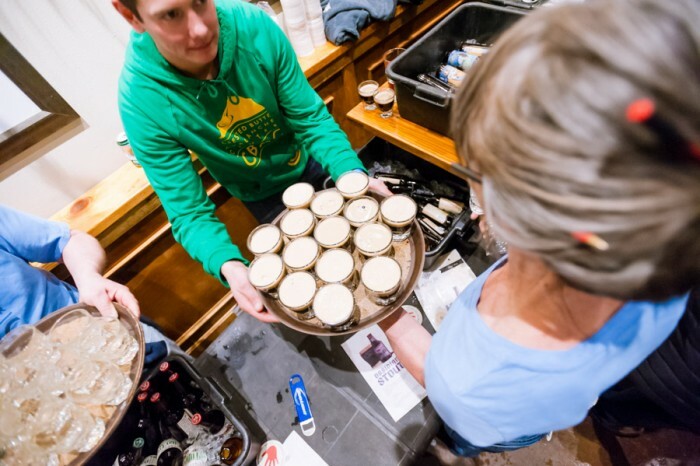 Copious amounts of delicious beer on tap. 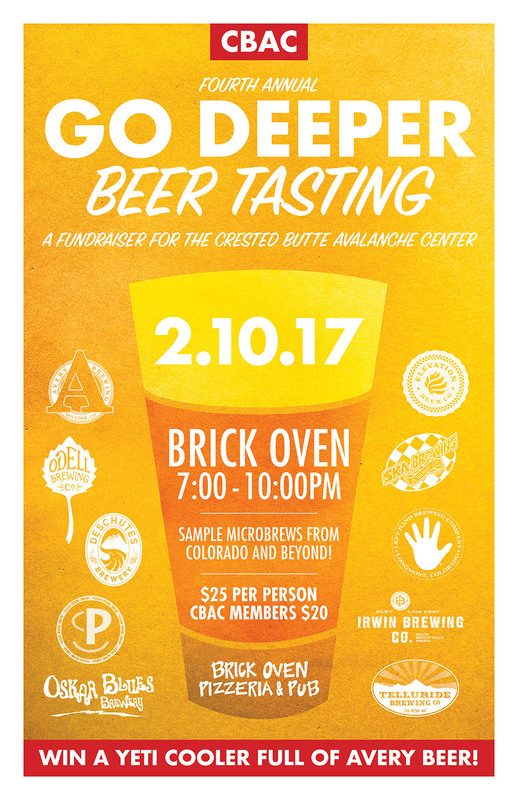 Satisfy your taste buds and support the CBAC! $25 Entry, $20 for CBAC Members. The Crested Butte Avalanche Center (CBAC) is seeking to fill the positions of Executive Director and Lead Avalanche Forecaster to begin in the spring or fall of 2017. The ideal candidate will fill both roles, but we encourage those interested in only one of the roles to apply. The Director/Lead Forecaster of the CBAC is a full-time, seasonal position. The incumbent will oversee all operations of the CBAC including the creation of avalanche advisories, avalanche education and outreach, fundraising, and collaborative efforts, while supervising employees, including other avalanche specialists. The position is salaried for a 6 month season (October 15 through April 15), with some part-time work commitments required during the off-season. Starting salary will range from $18,000 to $25,000, depending on qualifications and experience. See below for job description and desired qualifications. For questions about the position or job qualifications, contact Zach Guy (zach.guy@gmail.com). To submit an application, please send a complete resume, cover letter, and at least three references to cbavalanche@gmail.com. Applications are due by February 3rd, 2017. Depending on availability of applicants, the position will begin in March of 2017 or October of 2017. 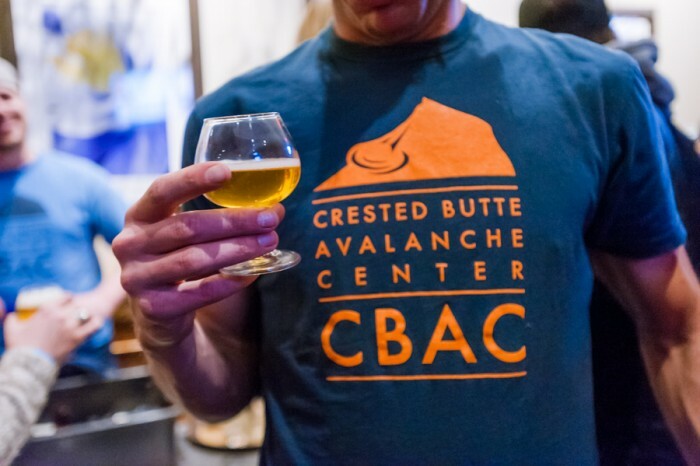 The Crested Butte Avalanche Center’s (CBAC) sole purpose is to prevent the loss of life, limb, and property to natural and triggered occurrence of avalanches in the backcountry surrounding Crested Butte. CBAC is a 501 (c) 3 non profit organization. The Crested Butte Avalanche Center is an Equal Opportunity/Affirmative Action Employer. Working with the Board of Directors, oversee, plan, and manage an operational budget. Supervise and manage all staff (including forecasters and development director), recruit and hire staff, assign/schedule work, communicate performance expectations and evaluate performance to staff, develop performance improvement plans, resolve informal complaints, and ensure that subordinate staff are trained and coached to assigned work in accordance with job descriptions and expectations. Plan and budget professional education and training opportunities for staff, including ISSW, CSAW, and other courses. Design sponsorship packages and requests and seek sponsorship opportunities by fostering relationships with local, regional, and national businesses and partners. Lead in the organization, promotion, coordination, and execution of fundraising, outreach, and educational events. Coordinate and meet with CBAC board of directors to plan, organize, or review events and fundraising. Attend, present at, or set up booths at various events to enhance outreach, such as the outdoor industry films, info fairs, Avalanche Awareness Nights, and other public or non-profit events. Establish and promote private donation opportunities through membership drives, meetings, events, website, and personal communication. 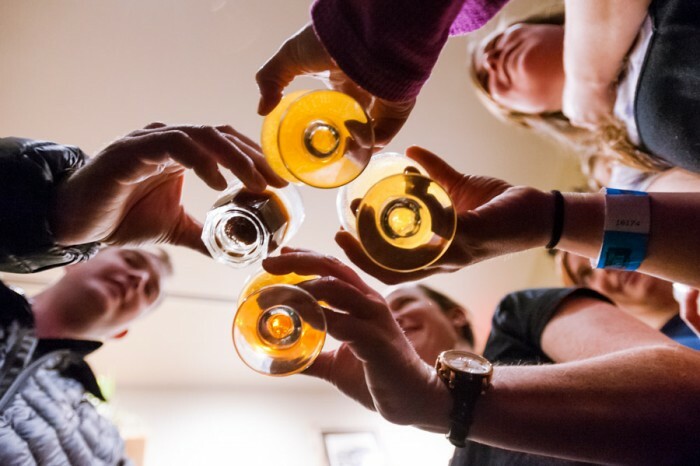 Seek to design or conduct new or alternative fundraising opportunities through events, grants, sponsorships, and donors. Oversee and carry out office space rental and setup, and computer and internet support. Oversee licenses, insurance, workman’s compensation, and other operational logistics. Provide ongoing guidance, coordination, and training to staff and volunteers. Oversee the purchase, licensing, insurance, maintenance, storage, and management of CBAC equipment, including snowmobiles, snow safety, and field equipment. Bachelor’s or higher degree in a science related field. AIARE Level 3 certification, AAA AVPRO, CAA Level 2, or equivalent experience/certification. Three years of professional snowpack evaluation experience. Proven proficiency in weather forecasting, field observations, public communication, and computer skills. Create and oversee the production of daily mountain weather and avalanche advisories/warnings for a large geographic area surrounding Crested Butte, CO. Provide expert leadership and guidance in regards to analyzing the snowpack to direct and conduct field work and to oversee the development of avalanche advisories and avalanche warnings. Design, prepare, and conduct training exercises for staff, including safety protocols, field work standards, and workshops in writing, weather forecasting, avalanche danger and problems, video production and editing, website design, and more. Oversee and supervise the safety and quality of forecaster fieldwork by establishing safety and communication protocols for fieldwork. Manage the “Pro Observers Program” and internship program. Manage, analyze, and oversee the recording and maintenance of weather, snowpack, and avalanche data for producing and assessing the quality of forecasts, pattern identification, and scientific studies. Create, edit, and manage messaging to the public through multiple media platforms including website, email, social media platforms, radio and phone recordings, and print. Present at or lead in CBAC educational/ awareness classes or events to the general public using power points, videos, in-field demonstrations, and public speaking. Facilitate and maintain CBAC’s collaboration and partnership with the Colorado Avalanche Information Center (CAIC) and the National Avalanche Center (NAC) through regular communication, data and information sharing, and more. Manage informal collaborations and mutually benefiting partnerships between local ski resort and guiding operations. Oversee the maintenance and operation of CBAC weather stations within the forecast area. Write or contribute content to avalanche related articles in local, regional, and national newspapers, magazines, journals, and blogs. Design and conduct research to improve forecast quality or promote the advancement of scientific understanding of snow and avalanches. Seek to improve or integrate forecasts and safety messaging to the community via alternative or new methods. Maintain and dispense to forecast staff a professional knowledge of snow physics including snow metamorphism, the distribution patterns of common weak layers, the mechanics of slab failure and classification of snow crystals by attending conferences, workshops, and reviewing literature, journal articles, conference proceedings, and other media. Attend and/or review minutes and proceedings from industry related meetings, such as ISSW, National Avalanche Center, National Oceanic and Atmospheric Administration, and more to stay current with industry policies, standards, and updates. Provide daily feedback on the accuracy and quality of staff-produced avalanche forecasts. Lead forecaster meetings and discussions between staff pertaining to avalanche concerns and forecasts. Establish, maintain, and manage a study plot to aid in snowpack analysis and studies for solving avalanche problems. Respond to avalanche incidents, conduct accident site investigations and interviews, and produce reports of avalanche accidents to industry standards. Produce season-end summaries and reports including season snowpack and avalanche summaries and user statistics and reports. Respond to media inquiries about avalanche conditions or accidents. Respond to avalanche related requests and inquiries, such as requests for recreational or professional training, educational presentations, feedback on publications, and more. Coordinate the relationship with and production of newspaper, radio, and television broadcasts and public service announcements for avalanche information and warnings. During periods of dangerous avalanche conditions, monitor conditions throughout the day and communicate with CAIC to issue watches and warnings. Relay avalanche watches and warnings through all media and public messaging outlets. Analyze, evaluate, and verify raw meteorological, snowpack, and avalanche data from instruments and observations to write and issue daily public weather and avalanche advisories for regional snow stability and avalanche hazards. Avalanche advisories include avalanche danger ratings for three elevation bands, avalanche problems (size, distribution, and likelihood), travel advice, and a detailed discussion. Evaluate weather maps and models, weather forecast products, and data for producing daily mountain weather forecasts to be used in conjunction with avalanche advisories. While working in harsh winter environments, use expert skills in snowmobile and alpine ski touring to travel through steep, avalanche terrain in order to conduct fieldwork and avalanche condition assessments. Regularly operate snowmobiles and skis in deep powder, icy conditions, and difficult terrain, including but not limited to steep slopes, rough terrain, poor visibility, and areas with high avalanche danger. Perform basic repairs on snowmobiles. Observe, collect, and measure meteorological, snow, and avalanche phenomena with scientific equipment and instrumentation while traveling through backcountry terrain. Conduct snow stability tests and record snowpack observations in the field to industry standards. Publish snowpack, weather, and avalanche observations on CBAC and CAIC’s data platforms, including media, snow profiles, and video content for improved comprehension by the public. Film, edit, and publish videos pertaining to avalanche conditions. Analyze and review data to confirm and improve the accuracy and efficacy of daily forecasts and products. Disseminate daily avalanche advisories through website, email, social media platforms, telephone, public radio, and other outlets. The complete report from the snowmobile burial near Washington Gulch on 12/12/16 is now published here. New video up about the close call on Mt. Emmons. Thanks to everyone who attended and supported Avalanche Awareness Night! Presentations are now online here. Thanks to Chris Miller for filming. Photos albums from Avy Night and Beacon Brushup are linked here as well. 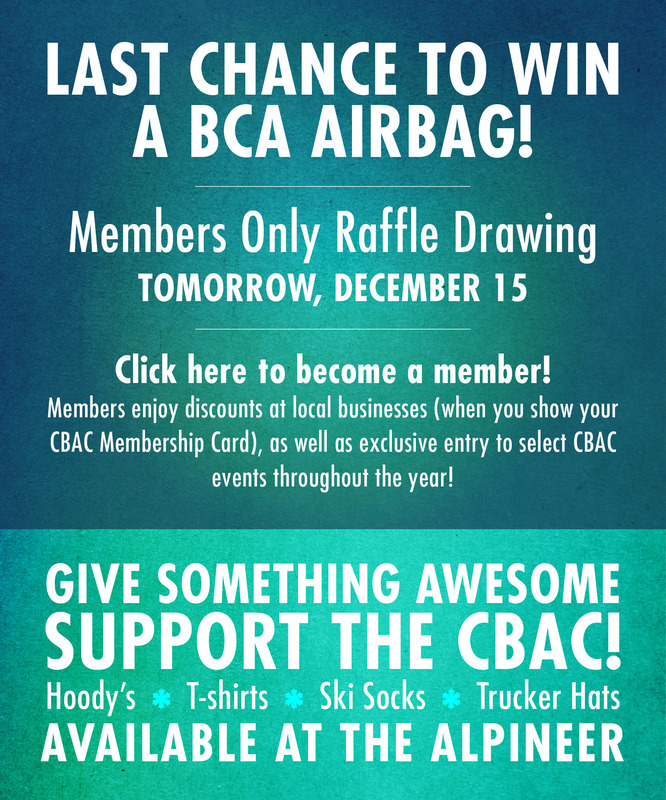 Last chance to win an airbag!